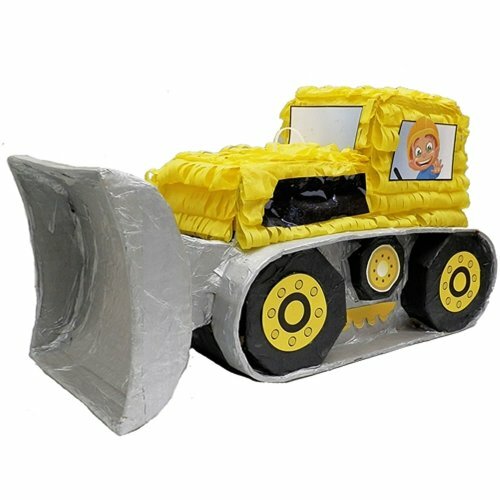 This bright yellow deluxe bull dozer pinata is 17 inch long, 7 inch wide and 12 inch high features a driver on the window, tires and a large bulldozer blade. Holds up to 3 pounds of candy and toys (sold separately). Perfect for a boy’s birthday on the construction party theme. Pinata is decorated with tissue paper and print cutouts. Makes a gorgeous party decoration and fun party game. .